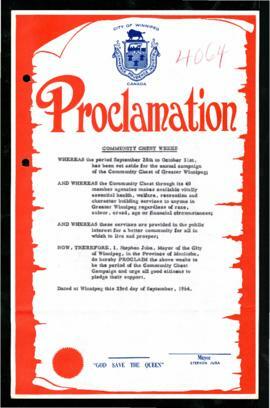 A proclamation from the office of Winnipeg Mayor Stephen Juba, dated September 23, 1964, marking September 28 - October 31, 1964 as "Community Chest Weeks". Exterior of the Riverview Community Centre. Date of photograph is approximate, [ca. 1948].